One of the most common questions asked on the Linux based sub-reddits at Reddit.com is “Which Linux distribution would be the best for a netbook?”. The truth is that what works for one person may not work for another. I have however reviewed a large number of Linux distributions and many of these reviews have been conducted using an Acer Aspire One D255 Netbook. 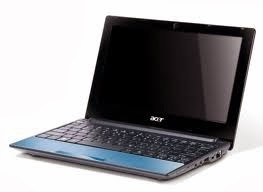 The Acer Aspire One has a 1,6 ghz Atom processor, just 1gb of RAM and a small 160 gb hard drive. The netbook comes pre-installed with Windows 7 starter, dual booting with an old version of Android. To be honest it runs like a hog. With Linux installed the Acer Aspire One is actually a very nice little netbook but it does rely on you being sensible about what you are installing. The following distributions have either been installed on the Acer Aspire One or I believe would run perfectly well on an Acer Aspire One. I have included links to the original reviews so that you can see any issues that I found. I reviewed Bodhi Linux last year when it was version 2.1. The latest version is 2.4. 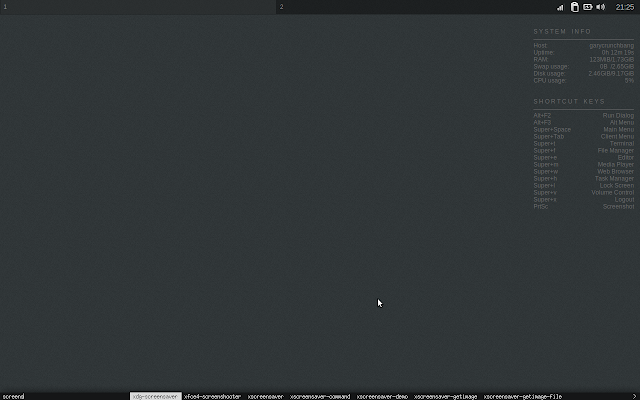 Bodhi uses the e17 desktop environment and it looks very stylish. The installation is quick taking between 5 and 10 minutes. Connecting to the internet was simply a case of clicking on the network icon on the top shelf and choosing the appropriate wireless connection. Flash doesn’t work out of the box but it is easy enough to install. There aren’t many applications installed by default but Bodhi provides applications in bundles that can be installed via the Midori browser. You can also install applications by using the familiar Synaptic application. There were a couple of minor issues (which may have been fixed now) but Bodhi is easy to use and very responsive on the netbook. Read the full Bodhi review here. I tried Crunchbang earlier on this year and although I didn’t try it on the netbook I did try it on a computer with fairly low specifications. Crunchbang perhaps isn’t for people who like their bells and whistles. You will be amazed however at the performance Crunchbang gives you. Connecting to the internet is simply a case of selecting the appropriate wireless network by clicking the network icon from the toolbar at the top. Crunchbang comes pre-installed with GIMP for image editing, VLC media player, Abiword and Gnumeric. There isn’t an audio player installed by default but you can use Synaptic for downloading and installing applications. Flash works straight away but to play MP3s you have to install the GStreamer Ugly Plugin. If you are a Windows user then you will find that Linux Lite looks quite familiar especially if you are used to using Windows XP. You can connect to the internet by clicking on the network icon in the system tray. 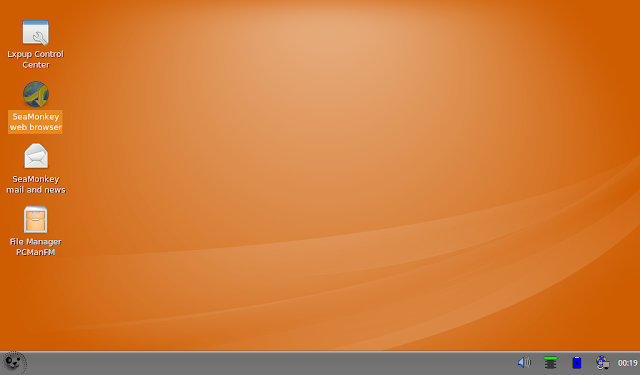 Linux Lite uses the WiCD application for connecting to wireless networks. It is fairly obvious what you have to do. Pick a network and enter the relevant security details. To install software in Linux Lite you can either use Synaptic or to install common applications use the “Install Additional Software” menu item. The latter option makes it easy to install WINE, Virtualbox and the Restricted Extras package (which then gives you Flash, the ability to play MP3s, Java and truetype fonts). Applications included by default include GIMP for image editing, LibreOffice, Mumble voice chat, Steam, and VLC. 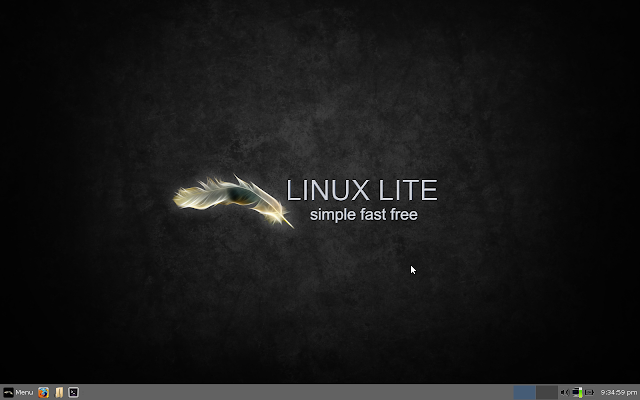 Linux Lite is very stable, responsive and comes with a good set of applications. LXPup is a variation of Puppy Linux that uses the LXDE desktop. Puppy Linux comes with a great range of small applications that just do the job required without too many bells and whistles. For instance to connect to the internet you can use the simple network setup tool. There are dozens of programs installed by default including Abiword and Gnumeric. LXPup includes CD rippers, media converters, video players and the excellent PMusic player. Flash isn’t installed but there is a menu option that makes it easy enough to get it. Puppy Linux is great fun to use and you get so much installed by default and it is incredibly responsive. MacPup is another version of Puppy Linux but this time it is set up to look more like a Mac desktop. 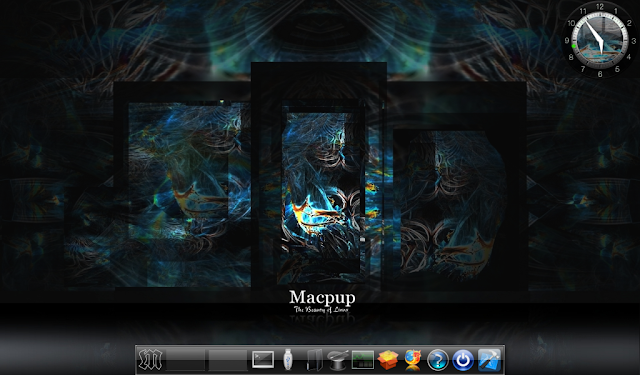 MacPup is excellent and is my favourite version of Puppy Linux. It comes with the usual number of applications that you expect with Puppy Linux and there is also the Quickpet application which makes it easy to install programs such as GIMP and Audacity. Connecting to the internet is as simple as using the simple network setup tool. Flash isn’t installed by default but can easily be installed via the package manager. I didn’t actually try Manjaro on the netbook but I did try it on a computer with fairly low specifications and as the version I reviewed was the Openbox edition then it should be perfect for a netbook. The first thing you will notice is the ultra quick boot time. The performance of Manjaro overall is also very impressive. Connecting to the internet is as easy as selecting the network icon and then choosing the appropriate wireless network. Navigating around Manjaro requires right clicking on the desktop and navigating to the chosen application. There aren’t many applications installed by default but you can use Pacman to install applications. Flash worked but getting music to play via the default XNoise application was a little tricky. I would say that Manjaro is for the more experienced user and might not be the first port of call for people who are new to Linux but for people who don’t mind experimenting and who have the skills to find their way around Linux it is ideal. Most distributions running XFCE will be great for a Linux netbook. 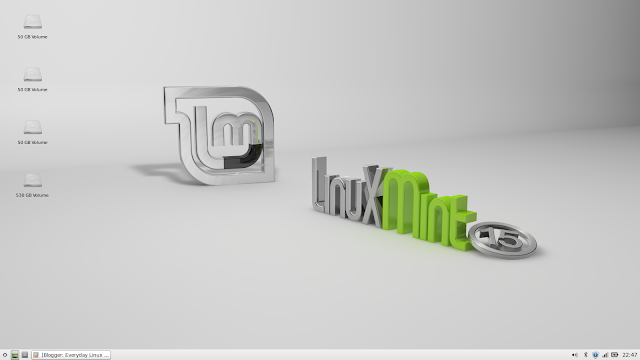 Linux MINT provides a standard interface whether you are using a laptop, desktop or netbook. For more powerful machines the Cinnamon desktop would be the desktop of choice, however the look and feel is the same with the XFCE version but without the glamour. Substance over style. With Linux Mint you get everything working out of the box. Connecting to the internet is as easy as clicking the network icon and choosing the appropriate wireless network. Flash works without having to install anything and MP3s play without installing extra codecs. Linux Mint 15 comes with LibreOffice and GIMP installed by default. I reviewed Peppermint 3 but the latest version is now Peppermint 4. Peppermint utilises the concept of cloud computing. Basically you use web applications for all your needs and using the concept of a site specific browser you turn the web application into a desktop application. If you don’t like that concept then you can use Peppermint Linux in the same was as Lubuntu. 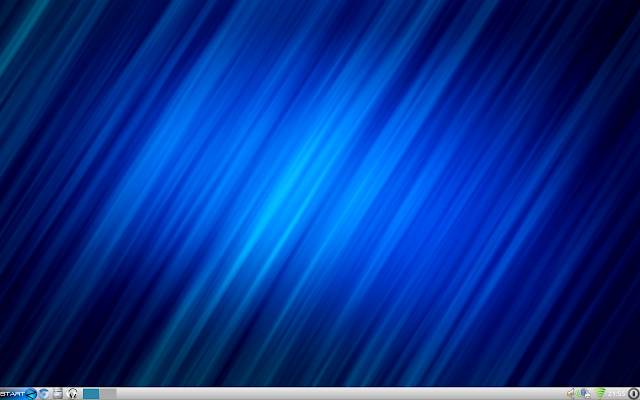 Peppermint uses the LXDE desktop and comes with Synaptic for installing desktop applications. SolusOS uses the Consort desktop environment which is the Phoenix out of the ashes of Gnome 2. The layout will again be familiar for Windows users and the menu system looks very similar to the Windows 7 menu. Flash and MP3s work straight away and connecting to the internet is as simple as choosing the appropriate wireless connection after clicking on the network icon. 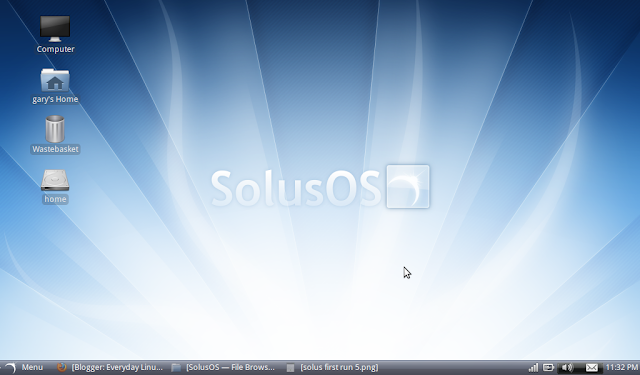 SolusOS comes with PlayOnLinux installed, Dropbox, Firefox, LibreOffice, Rhythmbox and VLC player. I used SolusOS for a number of months on the Acer Aspire one and I can vouch that it works really well. SolydX uses the XFCE desktop. It is based on Debian and is very crisp and clean looking. SolydX uses the WiCD network manager for connecting to the internet and comes with Flash and MP3 codecs installed by default. There is a good range of fairly lightweight applications including Firefox, Exaile (Audio), VLC player, Abiword and Gnumeric. SolydX provides a great blend between functionality and performance. If you want to go more mainstream then Xubuntu is Ubuntu with the XFCE desktop. 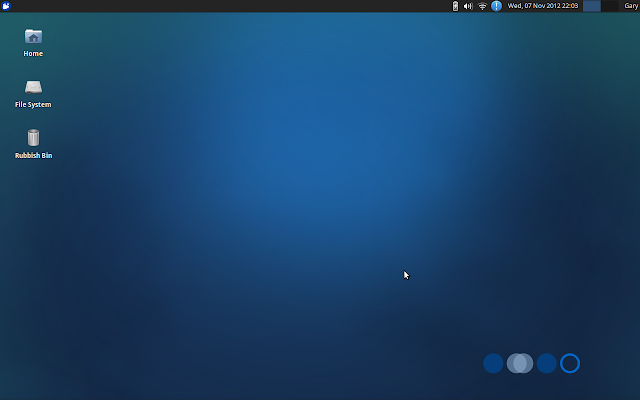 For me Xubuntu provides the best method of navigation around the XFCE desktop by providing the panel at the top and a panel of icons at the bottom. Using Flash and playing MP3s requires the installation of Xubuntu restricted extras. There aren’t many applications installed by default but you can use the software centre to install anything you require. Zorin is now at version 7. My review was written back at version 6. Basically Zorin OS is made to emulate the look and feel of other operating systems. You can choose to make the desktop look like Windows 2000 or Mac OSX within Zorin Lite. For users used to Windows it really does provide a familiar look and feel. Connecting to the internet is as easy as choosing the wireless connection by clicking on the network icon in the system tray. You can choose the browser that you wish to use using the browser manager. Flash and MP3s were supported straight away and Zorin OS Lite comes with Audacious as the music player which is a good choice. There aren’t many applications installed by default but there is Abiword for editing documents, a PDF viewer, a messenger, a personal organiser, calculator and mail client. You can install extra software by using the Software Centre, Synaptic or the Zorin Extra Software tool. The Zorin Extra Software tool includes WINE and VLC. Here is a link to 6 more great Linux based operating systems for netbooks. When choosing an operating system for a netbook you need to go for a more lightweight distribution but that doesn’t mean you have to compromise on functionality. You can have a stylish looking desktop and all the applications you would normally use. I can confirm that Crunchbang works very well on my netbook (though it is an AMD APU based unit). I did notice that anything I tried based on Ubuntu seemed to have more performance issues when using Flash in particular. This may change shortly for the AMD APU based units when the newer kernel/open source driver implementations that support VDPAU on AMD GPU's start showing up since Flash Player supports hardware acceleration through VDPAU. It is "Xfce", not "XFCE". You really should ensure you have names exactly correct if you're going to write with authority. Potatoes, potatos. If there were 2 projects both using XFCE initials then I could understand your frustration but if you type either Xfce or XFCE into Google you are going to get the same results. The fact that XFCE used to be capitalised and now isn't really is of no consequence to most people. I`m sure that they're noobs, one of those that begins to use linux and believes that he is an expert. XFCE,Xfce we all got it. Wha….I just got done finishing a Gentoo install, set up Xorg, but can't decide – is XFCE a better version than xfce? "Science proves" is a stupid phrase. I always appreciate constructive feedback or people who support my argument. You are doing the latter. I personally use Ubuntu and Kubuntu 12.04. Both work very well on my netbook (same or very similar model Acer). I'm sure Lubuntu and Xubuntu would work better, but I like to keep my netbook and desktop environments failry in-sync. And yes, Windows 7 preinstalled was a dog. I dual boot to it occasionally to test and maintain a program originally written to create bootable Ubuntu USB drives from Windows (Win32DiskImager). You've forgotten Debian,and don't tell me that those "forks" of pure Debian with somo customizations and the add of some free repo,are the same.Debian rulez baby,everywhere. I haven't tried Debian on my netbook yet which is why it isn't in the list. I haven't tried Lubuntu on my netbook yet which is why it isn't on the list although I suspect that it would be perfect. 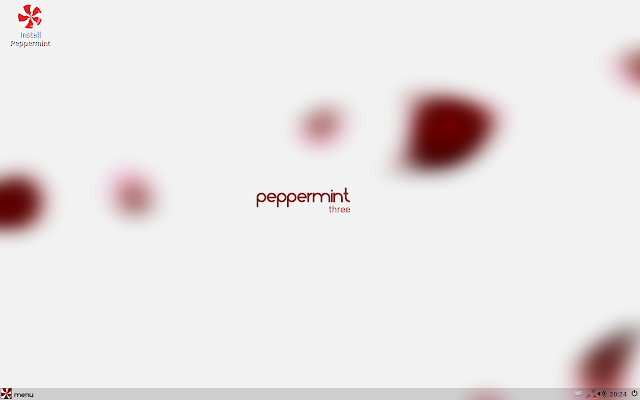 Peppermint and Lubuntu are very similar. Lubuntu is knockout for limited-performace PCs. Ideal. It was such a beautifully done. Please continue the wonderful work that you've been doing. Excellent post thanks! I also have an Acer Aspire One 260 (same specs as yours) and tried almost all of the reviewed distros finally settling for Lubuntu (I found out that I really like the LXDE desktop) but one day I want to try Manjaro (which now has an LXDE spin) and Crunchbang too. I will refer this post to other netbook users that want to go Linux because it's really useful. I didn't knew about LXPup so i'm going to distrowatch now to check that one out since I use "Puppy-on-a-pen" and that saved some bootsectors and drives more than once and it's so fast that it won't even cast a shadow in the sun… Thanks for your dedicated work. I have been told that LXPup is in a state of flux at the moment so it might be worth looking at Slacko, MacPup or Simplicity. Also consider using SLAX, it is very good. Yes I checked LXPup site and tested the latest 13.4 which is based on Raring but found out it's still too Alpha for proper usage. MacPup I've tested a month ago but still too much of the menus are hiding away on the dock so it's not fast to operate like Puppy Precise… In that Acer netbook i'm happy to have Lubuntu as main working OS but I have a partition set aside just to test other distros which is a lot of fun and a source of great learning. I only started with Linux in May and I already learned so much! Thanks for your reply, I'll test Slack based distros soon. 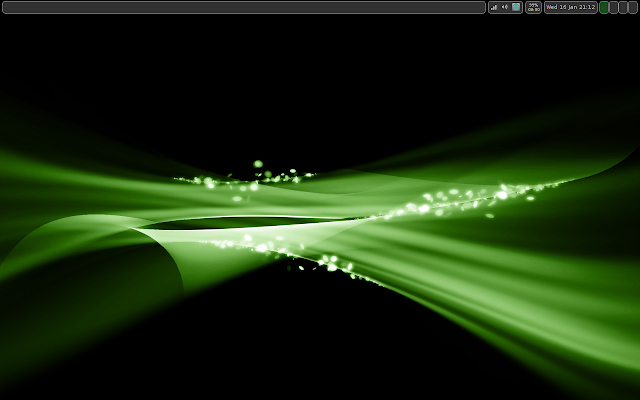 Opensuse 12.3 with desktop Lxde is light and it run very fast in my netbook Acer aspire one. I think the choice of desktop is key when running on a netbook. LXDE, XFCE and Mate are good choices. Same netbook running , Debian 7 xfce, mint15, Manjaro 0.8.7 xfce. All Recommended ¡¡ Nice article. Too bad but SolusOS doesn't exist anymore so it would be better to update the list here. Excellent article! Thank you to the author for such a good post. I've been running #! on my netbook for roughly the past four years, and for the most part I've been extremely happy with it. I do, however, feel it's now time for change, and your article has provided me with some brilliant starting points. Thank you once again! It would be useful a final comparison. Which one would you suggest to me? I use the netbook to work on my documents and then store on the cloud. For music,YouTube,Skype,Facebook,…I use a tablet. Thanks for the article. I have an Acer Aspire One, 1 GHz w/ 2 GB RAM and 300 GB hard drive. The old hard drive with Windows 7 stopped booting and started beeping a few months ago, so I put in a drive I got at auction and put Window 7 Home Premium on it. It was running OK on the old hard drive, but its current performance is unacceptable. I'm very much thinking of putting Linux on it, maybe Mint. I use my netbook for odd jobs, and I plan to use it to store videos and photos I shoot while away from home. It's a highly versatile tool, so I want to get the OS working well. Nice article. I am just wondering which of these OSs has less trouble with Java plugins for browsers (Firefox ad Chrome). I am using an old Ubuntu version with the extinct Easy Peasy, but I keep running into problems when installing java from the Oracle website. Is there any Linux OS that facilitates that process? Thanks for the review! Helped me choose (Crunchbang). I have been going through your various posts about linux and thanks for bringing the important infos under one roof. Do the hardware manufacturers write their software for linux? For example will NVIDIA or INTEL support linux? Beacuse I don't want to install drivers from third party sources other than the manufacturers themselves and spoil my laptop and that is why I have been sticking with windows all these days. NVidia and Intel are both very well supported now. I don't think you are in any danger of ruining your laptop by running Linux. It certainly has never harmed any of the devices I have used. Windows has though. A good article but it's a review of X-Windows UI's running on a Netbook on top of Linux, not for the Linux operating system itself. Did someone tried or have a solution for Ubuntu 14.04 on a netbook. This is so slow. I think it has something to do with the 3D effects. I use an Asus eeePC. What is the difference between Ubuntu and Lubuntu? I am fairly new to Linux but have switched both my laptop and netbook to Ubuntu 12.04 and they both seem to work fine. I am worried about 14.04 for my netbook (HP Mini 210) because I had a bit of trouble with 13.10. What will I be compromising by using Lubuntu? Lubuntu has a more basic looking desktop with a traditional style menu, panel, systray etc. The menu system is more basic to navigate. The initial applications that are installed are lightweight as well. For instance you get Abiword instead of LibreOffice. You can still go ahead and install LibreOffice etc from the package manager though. I don't have netbook. I've got a Toshiba Satellite 2400 Laptop. It has 30 gb hd, 512 meg ram. Video is Savage video card. It won't run new versions of *Ubuntu. But it runs Debian 7.5 xfce great. It has a limit of 1200×768 video resolution. It plays great with VLC. Great website. Keep it up. Thanks for such a great write up! I had all but given up hope on my ACER when I loaded Ubuntu 14.04.1 KDE, it was SEEELLOOOWWWW!!! like 20 second delay slow with 2 gb of ram no less?! I will now retry to bring back the dead zombie like Linux creature I have dying on my desk. Hello. I am not english language native so please, bear with me. Thanks to this post i was able to relive a samsung n210plus netbook wich came with win 7 starter and was SLOW as hell. I used Manjaro, with a community flavor, LXQt. Let me suggest you to check it out. It's awesome how fast it is, how light it is. Not everything is as straightforward as in some other major distros, but the gui for install and the gui for package management are pretty usable. I understand now what you meant when you described the distro in the post, it's a hands on distro but very flexible, and i'm just a noob! The EFI install worked at once, and that was not the case with zorin 8 lite, debian xfce, or lubuntu, i think it was the interdace between the keaboard and the seat, though, hehehe!! Please, check the distro! And thanks for this fantastic job you do .for guys like e is a very big difference. For my Acer netbook with just 1GB RAM, CrunchBang seems like the only viable solution. I've tried Lubuntu, Xubuntu, Mint Xfce, but even web browsers were running slow. On CB I have 5 tabs open on Firefox, an apt-get upgrade running, and it's using 490MiB of RAM. So, thanks for this great article! I really liked your article is. On this occasion I would like to express my desire to translate your article into Indonesian, and then I publish in my humble blog http://linuxkotapadang.blogspot.com/. My goal is that the Linux OS is getting popular in my country and more and more users. If you agree then I will do it. Hope you respond to it. Sorry if my English is not good. Thank you. Then I say thank you very much, and I really appreciate your kindness. I will soon publish articles Indonesian version of the article you are. Hopefully this article can be useful and make it easier for Indonesian citizens to understand. Once again I say thank you very much. Hello Eveybody, I have Acer One 10 Netbook with Windows 10 OS Preinstalled. I have tried installing installing Linux Flavours through Bootable USB as well as External USB DVD Writer. But Unfortunately non is getting detected even if after changing the Boot Order. Tried Fiddling with secure boot options, But it was totally In-vein. Most Probably Acer one 10 uses OEM Partition System i guess. Please help me. Any idea ? Actually I think this is one of those articles that needs an update. I would say Q4OS. It is whizzy on old hardware and really easy to use.